This activity provides 15 practice problems for multiplying binomials. 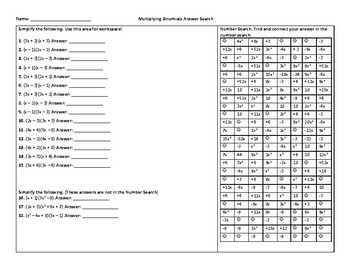 Answers are located in an "Answer Search" so students can catch their mistakes if they do not see their answer listed. I have used this as partner practice as well as homework.